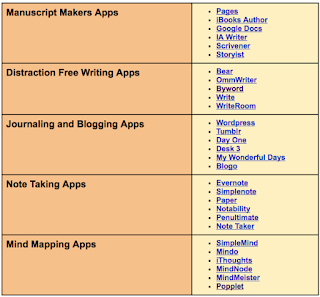 Here is an updated collection of iPad apps to help you with your writing. 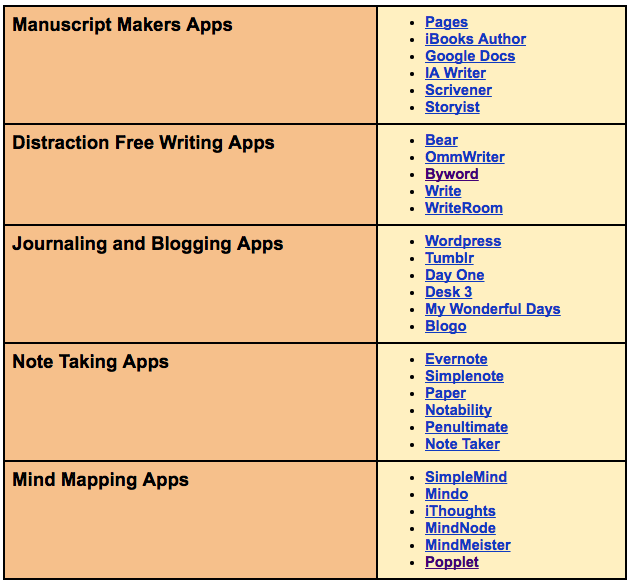 This list which is inspired by Apple’s writing collection in the App Store is arranged into 5 main categories; manuscript makers apps, distraction free writing apps, journalling and blogging apps, note taking apps, and mind mapping apps. We invite you to check them out and as always share with us your feedback. If you have other suggestions to add to the list, share with us on our Facebook page.